There is nothing more exciting than a party full of surprises. A Masquerade Party is full of anticipation – deciding what to wear for your costume; and trying to figure out who everyone is throughout the evening. 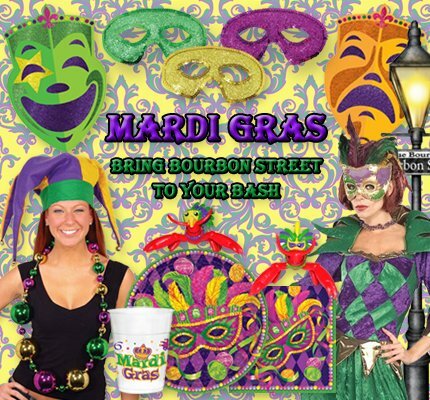 A Masquerade Ball is just like an old fashion elaborate ball, but with a fun modern twist. 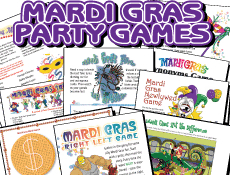 It's fun year round or for a Mardi Gras Party! Create your invitation on your computer and print on old fashion looking paper. Roll the invitation and close it with a decorative seal. Hand deliver the invitation wearing a mask! First decide where the party will take place. At your home or will you rent a ball room. Who am I? Make the party at the beginning a silent party. Have the guests try to figure out who everyone is and write their guesses down. Whoever has the most correct guesses wins a prise. Wine or Whine? Have samples of real wine and samples of the homemade version. Have your guests sample and see if they can tell the difference between the two types. What is your Fortune? Have a fortune teller present at the party to tell guests little tidbits about their future. Strolling Musician Hire a musician to walk amongst your guests and serenade different groups of people. Ballroom Dancing Anyone? Have some formal dancing time. Try near the beginning of the evening when people are guessing who everyone is. Their dancing may give their disguise away. Murder Mystery? Who really who did it? Finger foods are essential being that your guests are wearing masks! 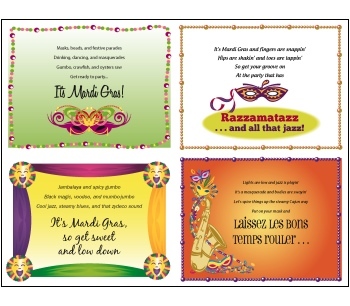 Share Your Masquerade Party Stories and Ideas Here!